When Sons of Jacob, one of the Twin Cities’ oldest Jewish congregations, and the New Conservative Congregation, the Twin Cities’ youngest, merged in July 1985, it seemed like the natural thing to do. 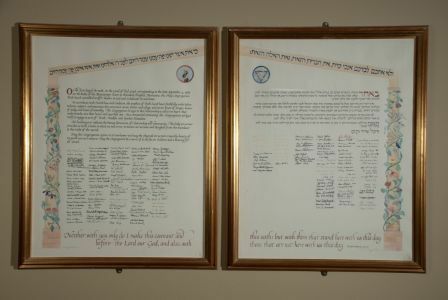 The congregations had been davening together on Shabbat since October 1984 and had found many common values and needs. Over a period of months, a strong feeling of affection developed between the members of the two groups. The new, merged synagogue became Beth Jacob Congregation. The merger afforded members the opportunity to learn, enrich their knowledge of Judaism, expand their spiritual experience, and support each other during times of need and celebration. The journey to the formation of Beth Jacob Congregation and our home in Mendota Heights began around 1870. Along the way, the congregation welcomed new immigrants fleeing persecution in Eastern Europe in the late 19th century and, later, survivors of the Shoah. In the early 1870s, a number of people attended services in a wood-frame building on Payne Avenue in St. Paul. In March 1885, Hevrah B’nai Ya’akov, Congregation Sons of Jacob, was founded as St. Paul’s second Jewish congregation. The congregation grew and organized a Hebrew and Sunday school. By the mid-1940s, many members recognized the need to relocate closer to the Midway and Highland Park neighborhoods. 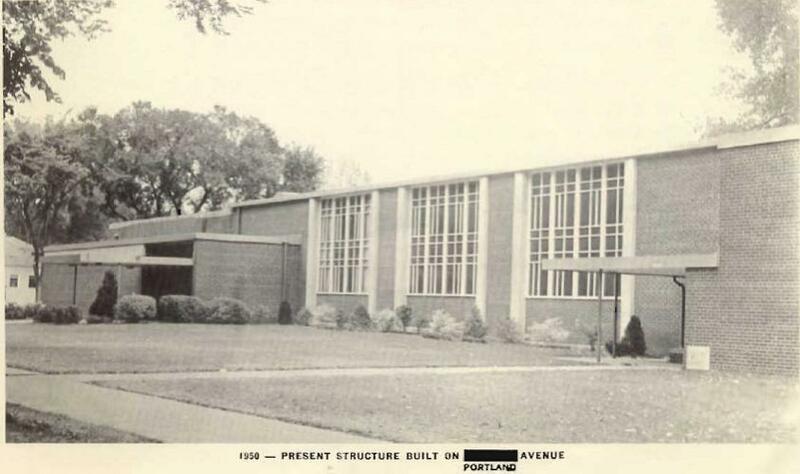 In 1944 the Hebrew Seminary Congregation formed and in 1946 the two congregations merged. Soon afterwards, the congregation moved into a new home at 1466 Portland Ave. The following years at Sons of Jacob were full and rich. The vibrant Orthodox congregation included an active Men’s Club and Sisterhood, a male choir, a mixed choir, a tallis and tefillin group for fathers and sons, and a dynamic Synagogue Youth Organization. As children grew and moved away, the congregation endorsed a proposal to become a Conservative congregation in the early 1970s. The change did little to attract new members and in 1982 the congregation made the painful decision to sell the building. A core group of dedicated members dreamed of eventually reestablishing a home on land the congregation owned in Mendota Heights. They rented space at the St. Paul Jewish Community Center and drew on their experience to organize and conduct meaningful, traditional services. The first service was held on October 27, 1984, at the Jewish Community Center. Earl Schwartz gave the first dvar Torah, and a number of congregants shared the responsibilities of leading services, reading from the Torah and chanting Haftorah. This pattern of congregant participation continues. By early December, the New Conservative Congregation and Sons of Jacob Congregation agreed to share Shabbat morning services and alternate responsibility for conducting those services. During its first year, the New Conservative Congregation addressed a number of needs: the desire for youth programs and education, coordination with the St. Paul Talmud Torah, the search for a rabbi and merger discussions with Sons of Jacob. By June 1985, both congregations approved the merger and adopted the name Beth Jacob Congregation. At early meetings, the merged board voted to affiliate with the United Synagogue of America. The board affirmed that men and women would have equal privileges, rights and responsibilities, and they declared that financial hardship should not be a barrier to membership. 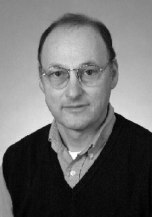 Lacking a rabbi, the board engaged Earl Schwartz as the congregation’s scholar in residence. From its beginning, the congregation welcomed strangers, recognizing that new people continually enhance the vitality of the congregation. Saturday morning religious school opened in October 1985. From the beginning, the congregation recognized its responsibility to educate its children and integrate them into synagogue life. The search for a rabbi began immediately after the merger. The congregation recognized that the rabbi should set the spiritual, moral, and halachic environment of the community, and the rabbi should be an excellent scholar, educator and pastoral presence. The congregation selected Rabbi Morris J. Allen in spring 1986 and moved him to St. Paul in August with his wife, Dr. Phyllis Gorin, and their newborn son, Avi. Under Rabbi Allen’s direction, the Shabbat morning service deepened in participation and content, the Shabbat morning children’s program expanded, and an adult education program began, including classes on Torah reading and synagogue skills. At its outset, the congregation recognized the need for a building, a site to focus its activities. The community broke ground on October 25, 1987, and on September 2-4, 1988, Beth Jacob dedicated its new synagogue. Modeled after a wedding, the dedication ceremony reminded the congregants that the connection of members to the new building could be compared to the covenant between bride and groom. 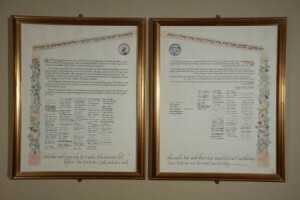 The program and the ketubah for this dedication ceremony hang in the lobby of the synagogue. The story of Beth Jacob Congregation is a story of building and rebuilding a community of Jews over time. We study and pray together. The community exists seven days a week as we continually enlarge the range of chesed (kindness) within our lives. Each interaction—whether at Shabbat services, a study session, committee meetings, a visit to console or support, or a moment of sharing of joy—provides an opportunity to enrich these values and find new ways to express them.